Jocelyn Green inspires faith and courage as the award-winning and bestselling author of numerous fiction and nonfiction books, including The Mark of the King; Wedded to War; and The 5 Love Languages Military Edition, which she coauthored with bestselling author Dr. Gary Chapman. Her books have garnered starred reviews from Booklist and Publishers Weekly, and have been honored with the Christy Award, the gold medal from the Military Writers Society of America, and the Golden Scroll Award from the Advanced Writers & Speakers Association. She graduated from Taylor University in Upland, Indiana, with a B.A. in English, concentration in writing. She loves Mexican food, Broadway musicals, pie, the color red, and reading with a cup of tea. Jocelyn lives with her husband Rob and two children in Cedar Falls, Iowa. Time for another disclaimer — I do not have adequate words to describe just how amazing Between Two Worlds is. This book is nothing like what I thought it would be — it is BETTER! Between Two Worlds is a phenomenal Christian, feminist, historical novel that absolutely must be experienced. It does NOT follow the Historical Romance pattern. It beautifully and masterfully turns that pattern on its head. What makes a hero a hero? To me, a fictional hero is a male character who represents some of the best aspects of manhood. He is completely realistic and deals with actual flaws, but he is a man who behaves the best a man can. For me, a hero is a man who is strong in his moral/ethical views, he loves God with his whole heart, he knows he has flaws and wants to work on them to better himself, he pays attention to details and then acts on those details, he protects others even at cost to himself, and he genuinely cares. Regardless of the man’s physical features, these characteristics make the hero the handsomest of men. In Between Two Shores, the hero seems to be Samuel Crane. He is handsome, he has a goal he needs to meet, and he does seem to care about others. And, at the beginning, it appears that Samuel is the heroine’s love interest. I will admit though that Samuel frustrated me hard! Meeting his goal, no matter the cost to anyone, is Samuel’s main prerogative. As I was reading, I kept waiting for Samuel to be that true hero, but I never felt he reaches this status. In fact, he is awfully selfish and self-focused. Then I was stumped. What is Green doing in this book, and what is she saying about heroes? And, who is the hero of this story? Then, it dawned on me! Catherine is both hero and heroine in this fabulous story. Catherine is one of the most amazing characters I’ve ever read. She is beautiful, intelligent, resilient, and strong. Catherine is the kind of strong that is both physical and mental, but she is also incredibly vulnerable. There are several moments in this novel that broke me, and my mom-heart desperately wanted to hug Catherine hard and fix all the broken things for her. Have tissue when you read this book. But I digress … back to my hero topic. Catherine is literally everything I defined in the paragraph above. She has a strong code of ethics, she loves God and tries to follow His path for her even when she is not sure about herself or God, she pays attention to details and then acts accordingly, and she genuinely cares about the lives of others (sometimes to her detriment, but isn’t that what we women do?). I love that Catherine is the hero, but what is Green trying to teach us readers through this fact? Here’s the BEST part of this book! Many times in this story, it’s just Catherine and God. There is no one else to help her or save her. I believe this is the number one goal of this fabulous book: with God, we women are the heroes in our own stories. No woman needs a man, BUT we all need God. With God by our side we can truly accomplish ANYTHING, even being the women our men need! I cannot tell you how refreshing it was for me to read a book that gives women back their true power. And the best part, it’s not at the cost of men. Too many “feminists” today want to hurt men. This novel celebrates women. It does not tear men down. I once heard an American Lit professor say, “America was founded on the backs of women, slaves, and indigenous peoples.” This statement has stuck with me ever since, and I believe it is true for pretty much every community and country on this earth, especially Montreal in 1759. The sheer amount of back-breaking work Green illustrates women doing in order to provide for their families and survive the harsh realities of life during this time is exceptionally eye opening. Everything was put on the shoulders of women, and this workload seems to triple with war occurring. I was exhausted going through a single day with Catherine, and then subsequently grateful that my day is nothing like hers. What I really love in Between Two Shores is the picture of female solidarity and strength. Knowing that there is another woman to count on for physical, emotional, and mental help means being able to get through really hard events. Watching Bright Star, Thankful, and Catherine support one another in various and unique ways is beautiful. It made me even more grateful for my personal female friends. Each one of my dear friends has a unique strength, intelligence, and beauty that I know I can draw from through good times, bad times, and in-between times. Between Two Shores made me realize how blessed I am in my female relationships. I legitimately could go on and on for days talking about this novel. I haven’t even brought up Joseph Many Feathers — arguably the BEST male character in this beautiful novel. But, I am so giddy about this book I know I am bound to spoil something. So, I will just add that I highly (times infinity) recommend this FANTASTIC novel. 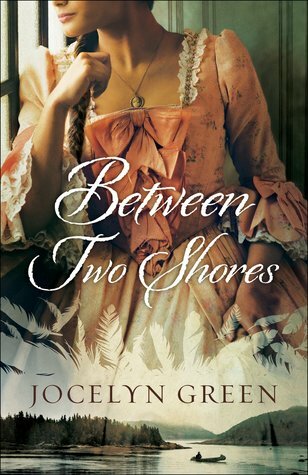 I believe Between Two Shores is a #MustRead for 2019 and every other year after that. Purchase a copy of this stellar novel today. You will not be disappointed that you did. I received a review copy of this novel in eBook and paperback form from the author via her publisher, Bethany House Publishers. The eBook was supplied via NetGalley. In no way has this influenced my review. The opinions expressed in this review are my own. What an awesome review!!! 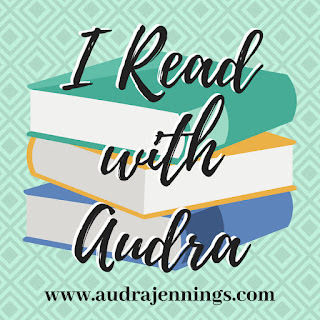 I’m still reading **sigh** and wishing there were more time during the day to finish!!! Yay! I look forward to your review!!! It’s such a good book. Jocelyn Green’s books are always so amazing. I can’t wait to read this one.